Ask Leo: How Can I Keep My Laptop Data Secure? will fall into the wrong hands. What do you suggest? turns out to be fairly easy, secure, and free. in order to use a file you need to extract it from the archive. What Free, Open Source encryption tool does Leo use?. 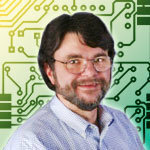 Leo Notenboom has been involved in the tech industry for nearly 30 years. After retiring from an 18 year career as a Microsoft Software Engineer Leo went on to create Ask Leo!, a free web site where he answers real questions from ordinary computer users. leo notenboom archiving tools, askleo, Data, facebook, information, job, laptop, microsoft software engineer, need, twitter. permalink. Chris Pirillo Video: Should You Apply New Security Updates for Windows? Smart Planet: Why Are Laptop Touchpads So Bad? My wife has that probmel too. So what does she to hackle this nasty problem. Have a bacup system at your office and send securly trough a VPN line your stuff daily to that server backup. Or have a seperate backup mobile usb harddisk with you, please loose not that too, mostly you won’t, that’s all. Hav fun, no misery.